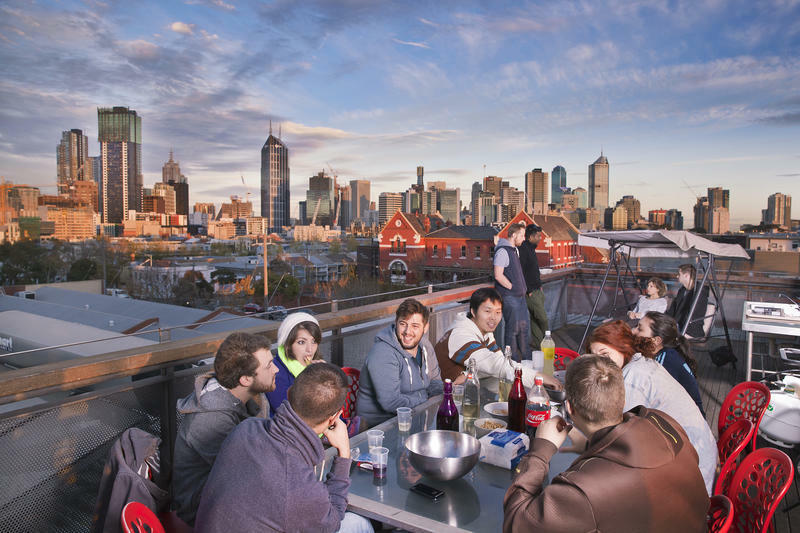 Backpackers Hostel is on the city fringe, with panoramic views of Melbourne from the rooftop lounge and BBQ area. 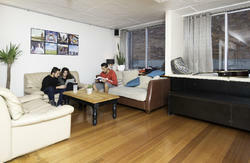 Hall of Fame Victorian Tourism Award for 'Best Backpacker Accommodation' in Melbourne! 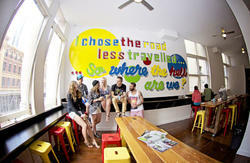 Melbourne Metro YHA is a modern hostel located on the city fringe in North Melbourne. Situated in a residential street, you can expect the hostel to be quieter than the CBD, but still close enough to walk to all the major attractions - the best of both worlds! 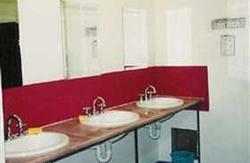 Melbourne Metro YHA offers excellent facilities including a cafe, tour desk, and 24-hour state-of-the-art internet lounge, fully equipped guest self-catering kitchen, launderette, and bicycles for hire, showers and deep baths in shared bathrooms. Enjoy the rooftop barbecue area with 360 degree city views, secure car parking (subject to availability - $5 per day) a library of movies, flat screen TVs, and lounges to socialize and meet fellow travelers. There are lots of great hostel activities to get involved in. Movie nights, pancake breakfasts, Safari Pete Travel Auctions and a free St Kilda shuttle bus on Fridays! Activities change weekly, so check with reception about what activities are on! Melbourne is the events and sporting capital of Australia so make sure you check out what's going on. There's the Spring Racing Carnival in November, loads of Summer Music Festivals, Australian Open Tennis in January, Grand Prix in February/March, plus many other film, arts and fashion events all year round. Walk to the Queen Victoria Market, the Melbourne Zoo, Federation Square and ACMI, and the Yarra River. There is a variety of rooms to choose from: multi-share, double/twin (with the option for ensuite), family, and one special self contained apartment. All linen is included. Bus and Train: 1.4 km to station. From Southern Cross (Spencer Street) Station go 400 meters East along Bourke Street to William Street and catch tram 55 heading North, get off at stop 9, walk 200 meters West on Queensberry Street, turn right into Howard Street. Avalon Airport - 61km: Bus service between Avalon and Franklin Street Terminal for only $16 for adults and $8 for children (4-14yrs). Then follow bus instructions below.